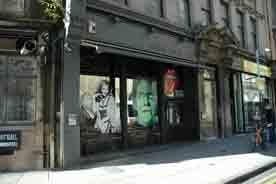 23 Hope Street, Glasgow. G2 6AB. Tel: 01412211105. 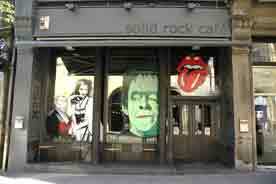 The Solid Rock Cafe. 1991. This is an ideal place if you like heavy metal and rock bands. This pub was also called the Norseman in the 1970s. Many will still remember this pub as Black Jack's. This eye catching front could be mistaken for a famcy dress outlet. 2008. 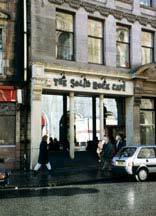 The Solid Rock Cafe 2008. Next door on the left is the well known Denholm's Bar. 1991 Robert Alexander Parepark Ltd.